PGD is your local expert when it comes to broken garage door springs in Phoenix and surrounding areas. We replace broken torsion springs and extension springs on residential and commercial garage doors. We provide LIFETIME WARRANTIES on all of our garage door spring replacements. Our pricing includes labor, installation, and warranties. Call Parker Garage Doors today to get pricing on single or double spring replacements. 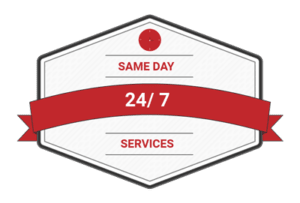 With locations in Phoenix and Lake Havasu, we are able to provide Same Day Service and 24/7 Emergency Service Valley Wide. We have trained technicians on call 24/7 to handle all types of garage door issues. So, should your garage door spring fail you in the middle of the night, you can count on Parker Garage Doors to come out replace old springs. Our techs have fully loaded trucks so that you do not have to wait for repair parts. Here is a fun fact; the average garage door weighs 200 to 400 pounds. While many of you may think the garage door opener handles most of the heavy lifting, it’s actually the garage door springs that provide the door with all of its lifting power. When your garage springs are broken or the wrong strength of spring is used, further operation of the garage door becomes very unsafe. When you are in need of a garage door spring replacement, we highly recommend that both springs be replaced in the same visit. This will save you money in the long run, since one spring will be new and the other will be older and break soon after. While garage door springs may appear to be small, they in all actuality perform all of the heavy lifting required to efficiently raise your garage door. So they may appear small, but they are powerful. Our team of trained technicians have the expertise to safely and effectively replace all types of springs – whether torsion or extension – with top-notch quality parts. We have been performing this service on residential, commercial, and industrial garage doors alike for the past 24 years. There is nothing more synonymous to a garage door than its springs. It is the springs themselves, not the opener as many of you may have believed, that is strictly responsible for a smoothly operating the garage door. Considering that some doors can weigh up-to 500lbs, it shouldn’t come as any surprise that in order for the springs to effectively lift the door, they must be placed under immense tension. 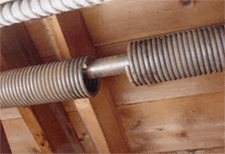 It is for this reason alone that we suggest – correction, caution – that the homeowner DOES NOT attempt to repair or replace their garage door’s springs. Instead of taking on a project that is fraught with unnecessary risks, which can jeopardize your safety and security, contact us at (602) 870-9848. There’s no need to worry about the time, as we’re available 24 hours a day, 7 days a week. We Offer Valley Wide Service! Depending on which type of spring you garage door utilizes – torsion or extension – you can expect on replacing them at least once during your garage door’s lifespan. This is because the spring’s themselves have limited lifespans. A spring’s lifespan is measured in cycles, with one cycle being completed once the door has finished opening, and closing one time. Most springs are projected to last 10,000 cycles. Once your springs break, no matter the reason, their tension is released and they will be incapable of operating your door. In most situations, if you’re home, you should be able to realize that they broke, as they do emit a loud popping noise. Again, please do not attempt to repair this situation without the help of a professional garage door repair company, such as PGD. PGD team of licensed technicians has extensive experience in replacing broken torsion and extension springs safely and effectively. All of the replacement springs we use have been manufactured from some of the industries’ best materials. For commercial, or other high-use applications, we have extended use springs available. If one or both of your springs broke, you require prompt attention, so don’t hesitate to call us at (602) 870-9848. In most cases, we can be there the same day you call, regardless of the hour. Parker Garge Doors provides 24/7 emergency garage door repair service throughout the valley. 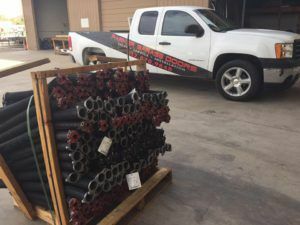 In addition to our broken spring replacement services, we also provide garage door sales, installation, repair and maintenance services throughout Phoenix, Lake Havasu and Parker. 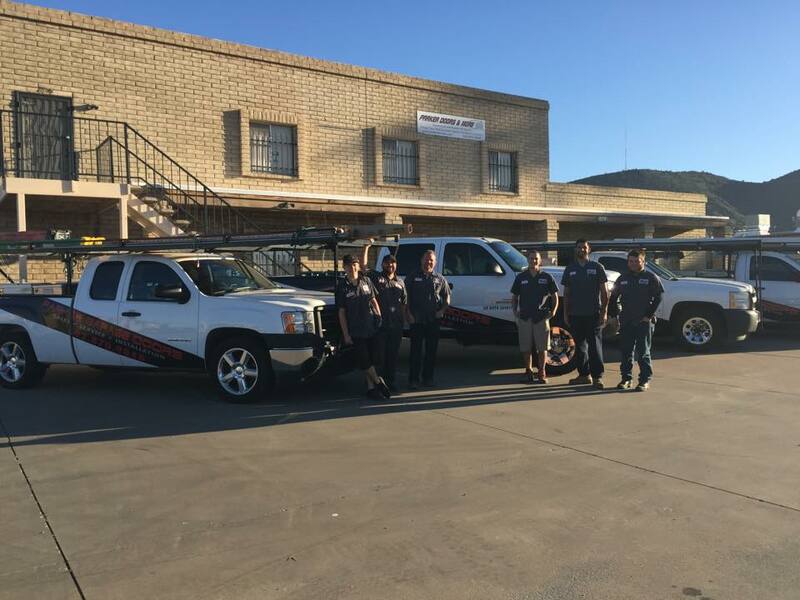 With two locations in Phoenix and Lake Havasu City, we are able to provide prompt service in Phoenix and all surrounding areas, as well as Lake Havasu City and Parker, AZ.